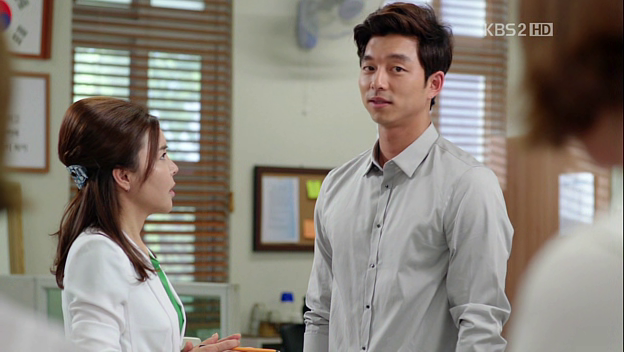 Watching Gong Yoo as Dr. Seo Yoon Jae was just watching a drama chug along. We really don’t understand or know who this guy is and it’s a mystery left to be revealed later. We don’t have to grow attached this the character; we just have to believe the Gil Da Ran loves Seo Yoon Jae a lot. I think the Hong Sisters have done a good job with establishing just the right amount of connection with the Seo Yoon Jae character. I don’t care at this point he is just dies off or if he is brought back. I think he is a nice guy so I wouldn’t mind if he comes back but I wouldn’t be too sad if he goes away. Either way, I don’t think he is the end game for Gil Da Ran. Which brings me to the question of the OTP. Which couple is the end game here? Is it Gil Da Ran-Seo Yoon Jae or is it Gil Da Ran-Kang Kyung Joon? 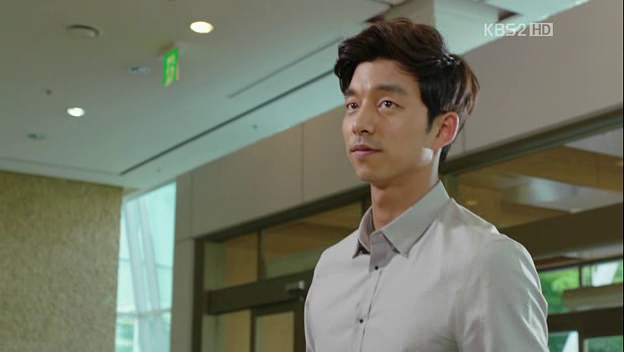 After finishing episode six, I think Kang Kyung Joon is Gil Da Ran’s other half. But it’s kind of hard to wrap my head around. Is Kyung Joon going to stay in Yoon Jae’s body? Then what about the loss of twelve years of a young boy’s life? Kyung Jae argues in episode six that he doesn’t mind this because he gets to skip all the bad things in between but life should be lived through, not skipped over. (If Shin Won Ho hadn’t done such a good job with Kyung Joon, I don’t think I would have cared as much.) And what about Seo Yoon Jae? If this story is about personal growth, will we literally see Kyung Joon grow into Yoon Jae’s body to find adulthood, family, and love? I think that is what we see happening here and I’m loving it. This is the moment when the drama becomes more than mere entertainment. In episode one, we were introduced to the the characters of “Seo Yoon Jae” and “Kang Kyung Joon.” From episodes two through five, we saw the character of Kang Kyung Joon in Seo Yoon Jae’s body- two separate entities in one form. But from episode six, we are seeing “Kyung Jae”- Kyung Joon in Seo Yoon Jae’s body but not as separate entities, but fully meshed. Kyung Joon has grown in Yoon Jae’s body to become “Kyung Jae.” We don’t see a childish boy inside an adult’s body when we watch Gong Yoo anymore. We can simply just see Kyung Jae. 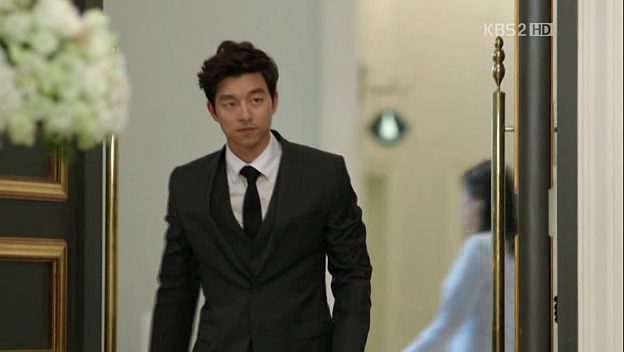 And this is when my Gong Yoo crush comes rushing at me. 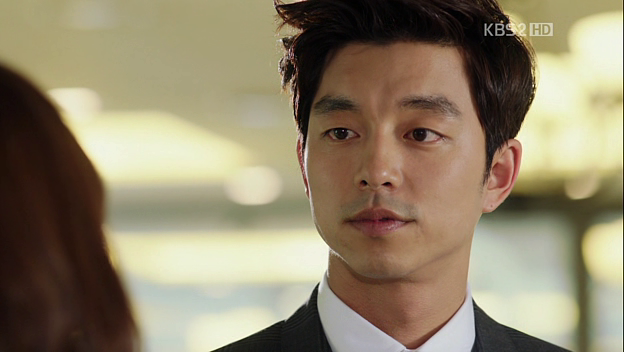 Oh my Gong Yoo. He has such expressive eyes and face, and he cannot look any better in a dress shirt and suit pants. He also has really good comedic timing along with the ability to pull at your heartstrings with nothing but a simple gaze. I love you director, for taking those wide shots that capture Gong Yoo’s legs and the close up shots that capture every change in expression. Also, thank you for the slow shots. 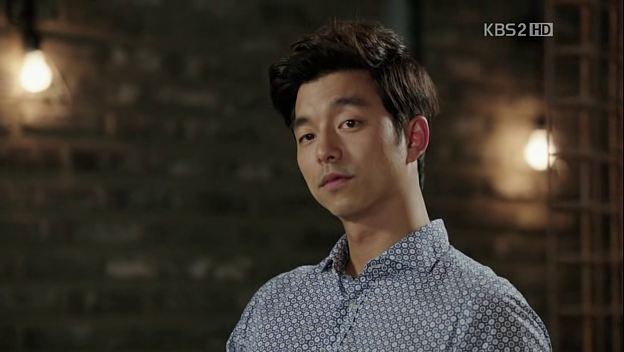 I mean, he would look good no matter what but those slow shots give me the opportunity to indulge in the sweet sinful goodness that is Gong Yoo.. And thank you, Gong Yoo, for simply looking so good on my screen. LOL at Lee Min Jung’s expression. Just need to photoshop some drool in that shot. Kyung Jae watching Da Ran walk away after she says no to his request to pretend to be his girlfriend. 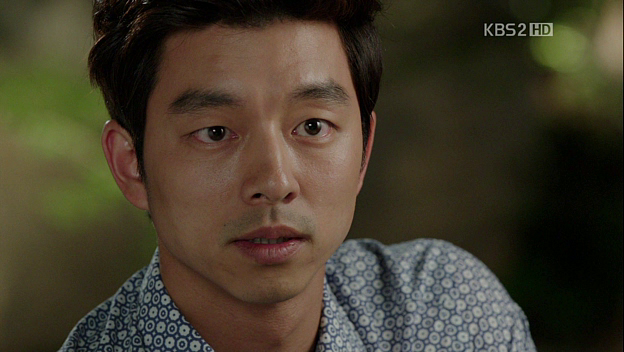 He wants her to pretend so he can keep Yoon Jae’s mom off his back about marriage. He had asked her to say his name to him- Kang Kyung Joon- before she left the car. She does. Oh Hong Sisters and their metaphors. This scene at the end of episode six really sums up Kyung Jae’s position and my heart goes out to him. Kyung Jae is making his final please to Da Ran. Question for other viewers: Has Gil Da Ran fallen for Kyung Jae and if she has, when? wah JOonni..thank you so much..im waiting for this actually..
where did u watch it???subbed?? Specific is a very good way to put it. The beauty is in his form and physique, but mostly in his nuanced expressions, as Joonni said. Nobody gives better FACE than GY. For me, the turmoil he want through episode after episode of Coffee Prince, was an amazing thing to behold. His heartbreaking lovr and final capitulation were so clear to me. Even now I get choked up thinking about how he overcame all his biggest fears to love Eun Chan. Definitely. 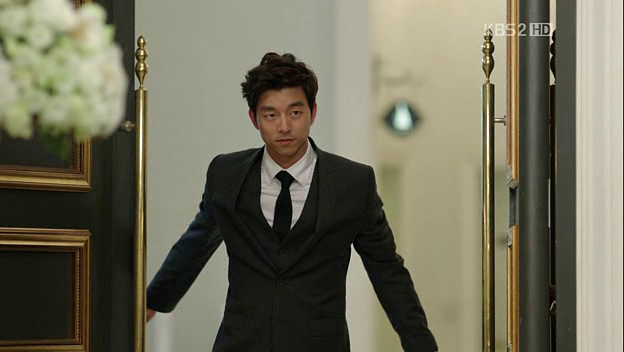 I don’t think Gong Yoo is one of those people that everyone will immediately describe as handsome but if you stay long enough to watch him move, you fall in love. I personally love sunflowers so the association between kissing and sunflowers in k-drama land is a plus. I like this show, too. Can’t figure out who will end up with who. How many more episodes do we have to wait ???? As far as your question. I feel like DR is only starting to separate the man she used to love Doc YJ, and the boy who has touched her heart KJ. The vibe is completely different, and his face reflects that the person inside is different. I don’t she has fallen for him yet. What has he done for her lately? He was a great friend for her before he left, but there haven’t been any bonding events since he has returned. Those are to come. As he demonstrates the new man he has turned into, and offers DR a person she can rely on, I think she will fall for him. He hasn’t really confessed yet, either. She is suspicious, but not certain of his feelings. 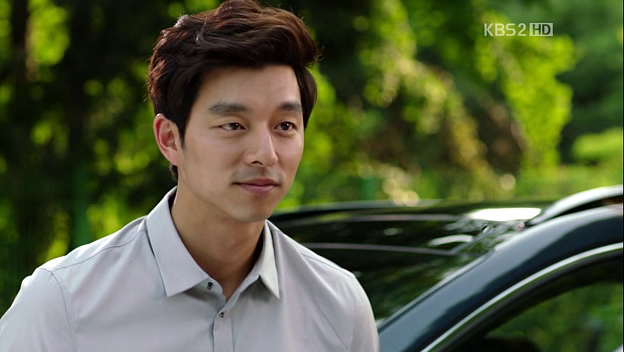 To be completely I do like Kyung Joon’s character. However, If he goes back to his own 18/19 year old body, its gonna be a little weird. She is in her late 20s and he is still in his teens. I just can’t get over the age difference. So I want to wait and give Yoon Jae a chance. Everything we saw and learned about his was stories by other ppl..but it could have been a misunderstanding? I guess we will have to wait and see…Body swap back or stuck for ever? I still can’t with the age gap either. 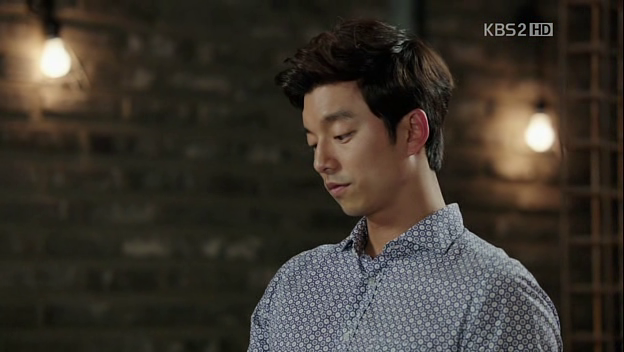 I cannot ship anyone in this drama besides me and Gong Yoo! And I’m not even in the drama! They’ve kinda also put the date thing and angels reaching for each other picture story aside…WHY DRAMA WHY?! I feel so disconnected and I’m very close to letting this go but I’m so curious about what’ll happen once they switch back or more people find out about the body swap. The age difference got to me too but I think the drama is growing up Kyung Joon nicely. I could ship him with Da Ran if he stays in Yoon Jae’s body. But I’m not going to ship any couple yet. I’m a scaredy-cat and I don’t want to be heartbroken. For now, I content to let this story be about growth rather than romance. We’ll see how it goes from here. 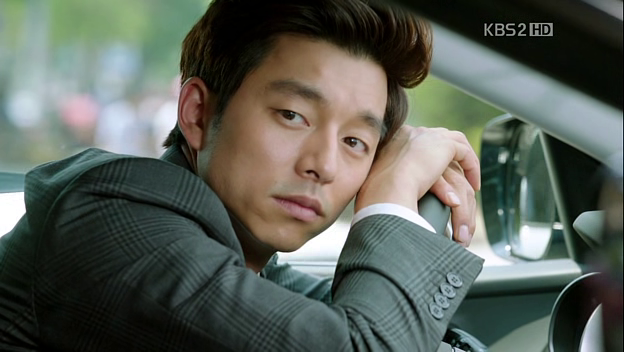 I would also ship Kyung Joon if he stays in Yoon Jae’s body. But no ships have sailed yet.. I got to thinking, what if KJ only developed his little boy crush on Da Ran because he was in the same boat with her? I mean, it is possible for people to fall in love with other people because they get stuck in a certain situation. I was rooting for this drama to have a non-romantic connection between KJ and DR because I thought it was super cute and it’d actually be a little different and I absolutely enjoy that aspect of their relationship so much, just when they’re noona-dongsaeng friends helping each other out. It was such a good thing going on. No matter how KJ pretends he has grown up, he’s still a child. I’m pretty surprised I haven’t changed as much from 8-10 years ago so it’s kinda hard for me to believe he’s actually grown up. He’s still that kid and I cannot unsee! Although when KJ came back a year later in a suit I thought, hmm, he’s gonna grow up really fine once he goes back to his body and goes through those 12 years of learning about life. I’m still not on board with this show yet. I keep hoping that the storyline will pull me in with each ep but it just hasn’t done it yet. I didn’t care for GY but he is the only one that is keeping this show alive for me with his many expressions and great acting skill. I can’t stand the ex girlfriend or the mean mom plot. It’s too common and plus, I’ve always hated that theme. I’ll keep waiting since I got nothing to watch on Mon and Tues anyway. You just become too picky after watching QIHM! 🙂 Well, we all do it in a varying degree… before I considered Big to be just an average entertaining drama (most of Kdramas are full of stamps and common/contrived turns, so I learnt to be loyal, at least it was a way better than “I Do, I Do” or “I Love Lee Tae Ri”), but I found this ep. funny and even touching. 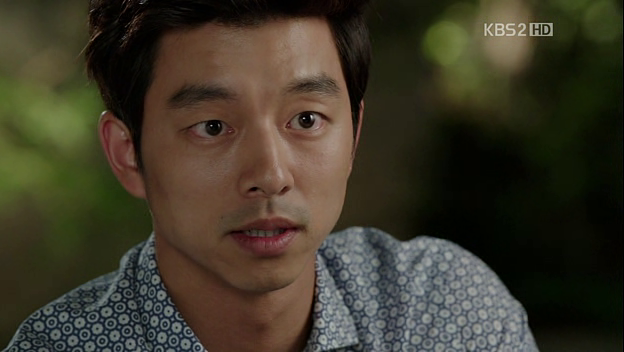 Gong Yoo is a really great actor! I’m thankful to Big for giving him an opportunity to reveal his comedian skills. Not only facial expressions, but also a voice acting – I liked the moment when KJ was counting up to 3 like an animal trainer whipping and Gil Da Ran jumped like a tiger on his pedestal. Yes, yes, it is true. I’ve become even pickier after QIHM. That’s what happened when a gem comes along and everything else just seem like it’s not good enough. I’m on summer vacation (teachers get the summer off woohoo! )so I got nothing but time. 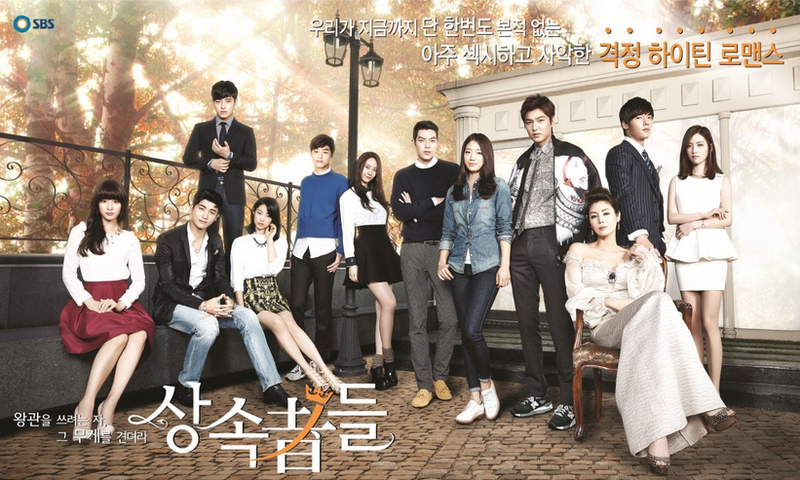 Even if I don’t care for any current dramas at the moment, I am still watching them. Something to do:) Hope your technical problem doesn’t last long. I still check on QIHM site often despite how calm it has been since the craziness:) Nice to talk to you here Elena! QIHM definitely raised the bar far too high for me hahaha! 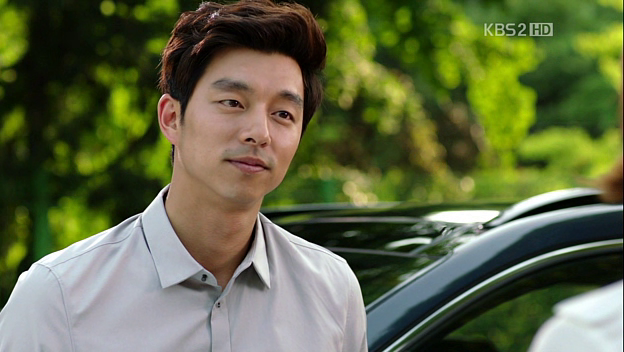 Not even Gong Yoo and his prettyness can compete with BD. Of course! I shall spare time for creating headers very soon :3 I’m glad you like ’em! U know what, NOW I want the OTP to be Da ran and Kyung Jae, if u look at the title “BIG” don’t you think this drma is all about Kyung Joon in Dr. Jae body, besides, as much as I wish his accident happen when he wanted to say I love you to Da Ran, I just don’t fall too much to Dr. Jae character, he’s a bit boring. Aahhh…that smile is so familiar and nostalgic. Hello there Choi Han Gyul, i missed you so. XD Whenever i see Kyung Jae smiling gleefully or when he gives Da Ran that cocky look, i get CP throwbacks. I absolutely love Lee Min Jung. i thought she was excellent in Smile You and that made me a fan. She’s really gorgeous to look at in BIG and i hope Da Ran toughen up more and we get to see more of her spit-fire personality as the show progress. Chalking up another ride with you, Joonni. What snacks would you like for this trip? She was adorable in Smile You. That was a sweet couple in that drama. Actually Da Ran seems to have toughened up more in ep6. What snacks would be good for Big? Hmmmm. I do want to eat mandoo/dumpling when I watch this drama, though. no, we need nice home cooked meals for Kyung Joon! D: i cant cook Joonni!!! i’d rather he get the itchies (and us a free show) then allow him to be poisoned by my cooking. Yay! The Kyun Joon I miss is back!! I’m watching ep 6 right now and have to pause and share my joy with you! I’ve jumped from ep 2 to ep 6, but it’s not a problem. No, not at all! In terms of the OTP, I would be lying if I say I’m not rooting for Da Ran and Kyung Joon because I just love them! Before I really find the ‘student falling in love with the teacher and ending up together’ plots kind of creepy. However, this is the first time that age difference doesn’t matter to me anymore in a drama. dangermousie reminded that besides Hong Gil Dong, the Hong Sisters always give a happy ending. So perhaps Kyung Joon and Da Ran will end up together. But I don’t know. 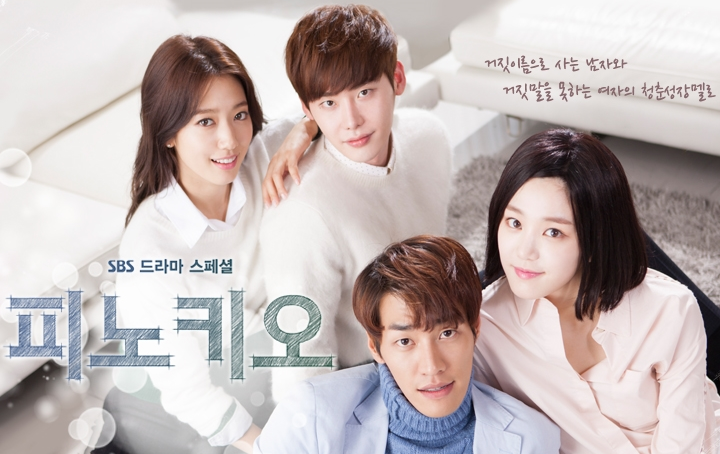 I’m getting HGD vibes from this drama. See, this is a really unexplainable feeling so don’t go by what I feel. I think we can safely assume that there will be a happy ending.